These cookies help to improve the performance of BenQ. If you want to opt-out of advertising cookies, you have to turn-off performance cookies. Are you a customer from Ireland? 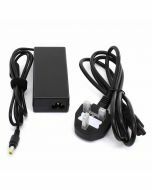 Please include the charge free UK Power cable listed below in your cart. You can check the warranty on this product here. This Website only provides shipping to Netherlands, Belgium, Germany, Luxemburg, France, Ireland, Spain, Portugal, Austria and Italy.